Visit Us at the 2017 Annual Conference & Culinology Expo! Join other culinary professionals, R&D colleagues and industry foodies at this year’s Culinology Expo® held March 14–17. You’ll not only experience the best education, demos and workshops on food science and the culinary arts, but revel in the stunning destination—San Juan, Puerto Rico! Plus, Grande Custom Ingredients Group® will stir things up on Thursday, March 16 by showcasing our functional whey protein products and how they’re changing the food science landscape. Stop by booth #410 to sample our blueberry mint high protein Greek yogurt smoothie made with our soon-to-be-released dried Greek yogurt powder. Then, enjoy our build-your-own plantain nacho bar with various toppings. We’ll highlight two sauces—ranchero and garlic cilantro—made with Grande Bravo® functional whey protein. 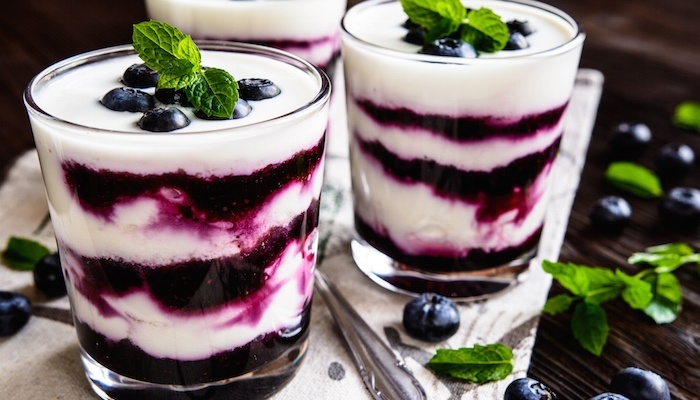 While enjoying our samples, learn how our products can help you meet your formulation goals, and see why Grande Custom Ingredients Group is known as the Innovators of Dairy-Based Food Ingredients™. We provide natural custom whey protein products that can reduce or replace high-cost, high fat ingredients like eggs and dairy, plus boost protein, improve nutrition and texture, and lower costs. You’ll find Grande’s products used in a myriad of applications including low fat dips, dressings, sauces, ice cream, yogurt, sports drinks, cereals and much more. This year’s conference and expo is a culture-rich experience that will enhance your knowledge, expand your network and allow you to enjoy the local cuisine. Don’t miss it! We look forward to seeing you at booth #410 on March 16 at the 2017 RCA Annual Conference & Culinology Expo.